Kong Liver Easy Treat is our dogs absolute favorite treat to put inside their Kong toys! It's great for all Kong toys, and very quick and easy to use; just squirting some inside the surface of a Kong toy, or in the grooves of a Kong Dental toy, will keep your dogs busy and entertained for hours. 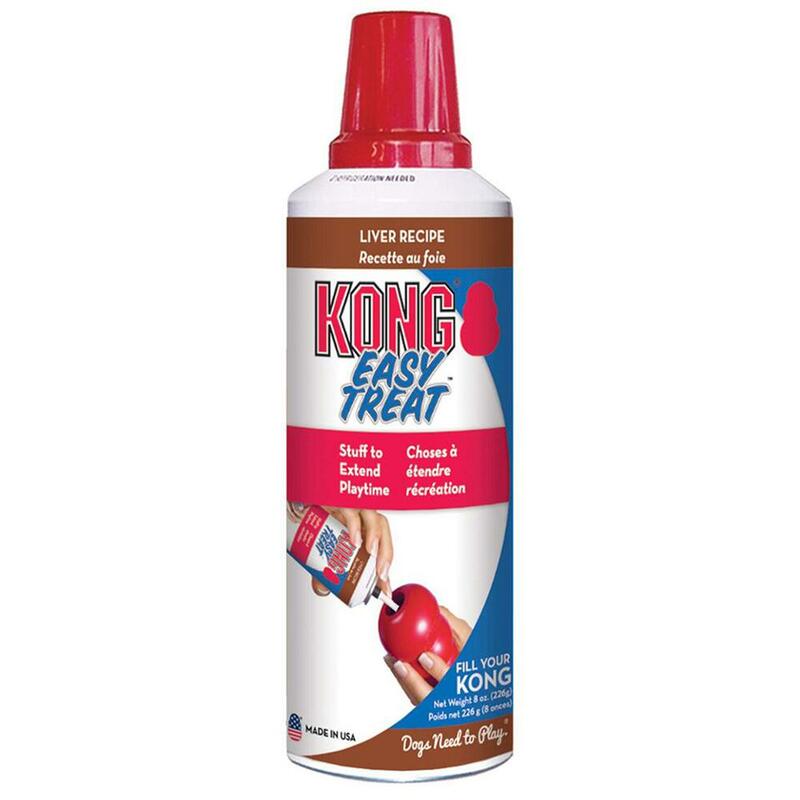 Kong Liver Easy Treat is specially formulated to promote a healthy skin and coat, and is vitamin enriched as well. Each can has approximately 45 1 tsp. servings.